Why Did YOU Switch Accounts? I have to admit, no matter how proud I am of my main account and my many trophies and accomplishments, I usually use my side account to chat on the Neoboards. I like the simplicity of my side account, which has a petite layout and my 2 tiniest pets, a Pea Chia and a Grape Chia. So instead of using my main account to chat on the Neoboards, I use my side account, eager to show off my little darlings! If I didn't already have 326 avatars on my main account, I'd totally make this side account my new main. I have some Neofriends who recently switched main accounts, which means they turned a side account into their main account, and their main account into a side account. And I know of several players on the Neoboards who switched their accounts as well. Curious as to why they did so, I decided to post a thread on various Neoboards, asking them why they switched accounts! Hands down, everyone said that switching accounts was the best way to start fresh without having an empty bank account. Instead of freezing their mains entirely and starting fresh, they'd rather keep their old main accounts around, while using their sides as new mains. These new mains are often aged, and have the same perks as the old mains, such as four transfers at the Neopian Pound, or access to the Hidden Tower. Some players admitted that they had disliked the usernames of their main accounts, and switched accounts because they'd rather have a cool one-word username rather than a scatterbrained username rife with numbers and underscores. Since I used to have a rather embarrassing username too, a long time ago, I had to nod and agree. I love my current username because it's both simple (it's only one word) and luxe (its meaning is quite posh), which is just my style. Many players admitted that they used to get warnings and suspensions on their main accounts, and decided to switch over to their squeaky-clean side accounts to chat on the Neoboards. They like their new anonymity, and they find it great fun to tease their fellow Neopians with interesting facts about themselves, while said Neopians scratch their heads and wonder why these young accounts know who they are. 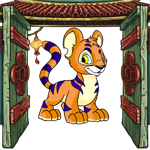 One player mentioned something interesting, which I hadn't considered, since I've been playing on Neopets for seven years straight and have collected lots of rare pets as well as valuable NC items on my main. She said that she decided to switch mains because her main account wasn't very accomplished or full of trophies, so it wasn't a big deal to transfer all her pets and Neopoints to her side account, turning that side account into her main. One player said that she was forced to switch mains because her old main account kept getting unwanted fan mail. Her old username was the name of a popular television show, and every day she'd get a dozen Neomails gushing about how wonderful the show was. Tired of the attention, this user decided to switch mains, and she's never looked back. She's happy with her new anonymity now, and I think she made the right choice. Many, many players said that because they couldn't remember the passwords for their main accounts, they were forced to use their side accounts as mains. By the time they finally got their main accounts back, they preferred to continue to use their sides as mains, because the sides had accrued so many awards and trophies. One player admitted that on her old main account, she knew a handful of people who disliked her, because she used to correct peoples' grammar mistakes. In hindsight, she knows her behavior was insufferable, and she's truly sorry to have made so many people miserable with her nitpicking. She decided to switch mains and use her secret side account to chat on the Neoboards. To this day, no one knows who she originally was, and she'd like to keep it that way. Her new main account has dozens of close Neofriends, and she's much more tolerant and understanding of other people. There were a lot of players like me, who used their side accounts to chat on the Neoboards. They didn't make the drastic change of switching their main accounts with their side accounts, but in terms of socializing and interacting with other players, they only use their side accounts. These sides are basically trophy accounts, meant to awe their fellow players, and are full of rare pets and beautiful galleries. One player had to switch accounts because, although his username was grandfathered into the system, he was super embarrassed by it. He asked TNT to move all of his pets, gallery items, trophies, avatars, Lab access, and other things to his new main account, and TNT happily obliged. I thought this was truly inspiring, and it renewed my faith in TNT! And finally, for completeness' sake, there is a category of players who had no choice but to switch mains. These people had lost access to their main accounts, either due to their own actions or the actions of others, and had no choice but to play on their side accounts until they regained access. So how do you stand, in terms of switching accounts? Did you recently switch accounts yourself? Was it for one of the reasons mentioned earlier in this article? Did you have a completely different reason from the ones listed? If you'd like to tell me your own reasons for having switched mains, drop me a line! I'd love to get your input, and talking to my fellow players is my favorite thing to do on Neopets. I hope you enjoyed this article, my dear readers, and that it made you think! Stay tuned for more articles from yours truly, and have a terrific week! I couldn't help thinking, what if they've got it wrong? What if they're overlooking others? Moms with snacks also welcome.